I have finally given into the fact that Fall is here and that means it is time for soup! 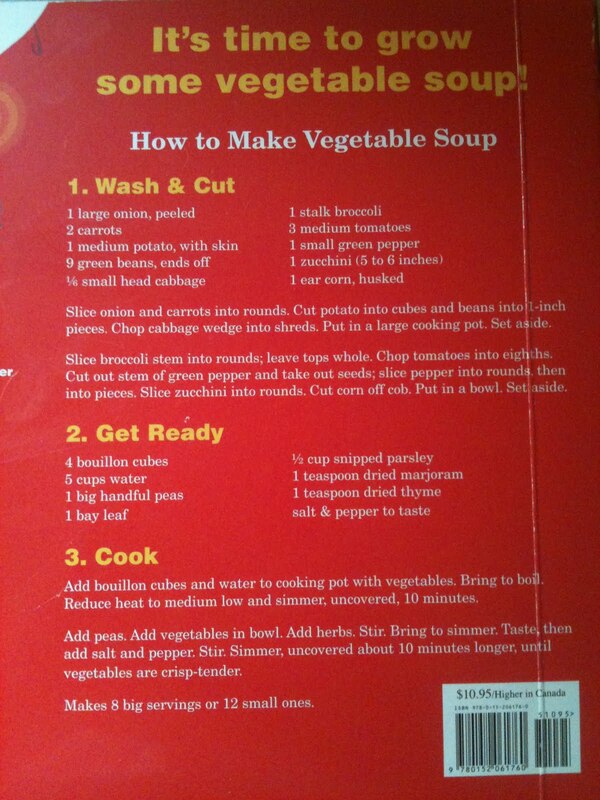 I love soup it is easy to make, tastes better after a few days in the fridge and their are so many kinds. 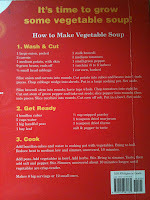 However one kind we had never tried was the vegetable soup recipe in the back of "Growing Vegetable Soup" by Lois Ehlert. This is one of our favorite books and every time we read it I always think about trying the recipe. 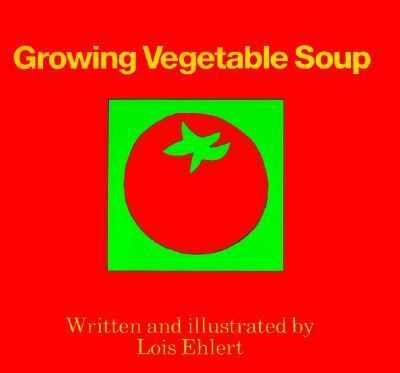 The book takes the reader through the stages of growing a garden starting with selecting and planting seeds all the way through picking and cooking. Our garden is a little past it's prime so we only used some carrots from our yard, which I think was enough to give the Bee and Bean the idea. 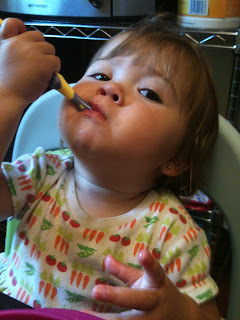 They girls helped me get the carrots, prep some of the veggies and carefully stirred the soup. 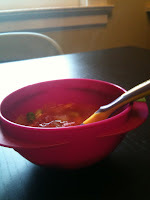 However the best part was of course eating the soup, and the most impressive part to me was that they both ate it! slice onion and carrots into rounds. Cut potato into cubes and beans into 1-inch pieces. Chop cabbage wedge into shards. Put in a large cooking pot. Set aside. Slice broccoli stem into rounds; leave tops whole. Chop tomatoes into eighths. Cut out stem of green pepper and take out seeds; slice pepper into rounds, then into pieces. Slice zucchini into rounds. Cut corn of cob. Put into bowl. Set aside. Add bouillon cubes and water to cooking pot with vegetables. Bring to boil. 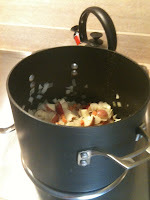 Reduce heat to medium low and simmer, uncovered, 10 minutes. Add peas. Add vegetables in bowl. Add herbs. Stir. Bring to simmer. Taste, then add salt and pepper. Stir. Simmer, uncovered about 10 minutes longer, until vegetables are crisp-tender. Cutting up vegies for soup is my big boys favourite job, pity he doesn't eat the soup!